May God bless the Mackay family, and may the soul of Detective Jeremiah Alan Mackay rest in Heaven. He will never ever be forgotten. On your 5th anniversary my brother, thank you for your sacrifice for all of us. Rest In Peace Brother LEO. You are honored and remembered on the 5th anniversary of your EOW. Thank you and your family for your sacrifice and service. I met him once. I was on vacation at Big Bear Lake. He let me tour his patrol car and gave me a sticker. God bless you deputy. You will forever be remembered. Rest in peace my brother. Condolences to your family and all members of your department. Heros go to a better place. Cowards go to hell to rot. I will always miss and remember you my brother. I will see you again one day. 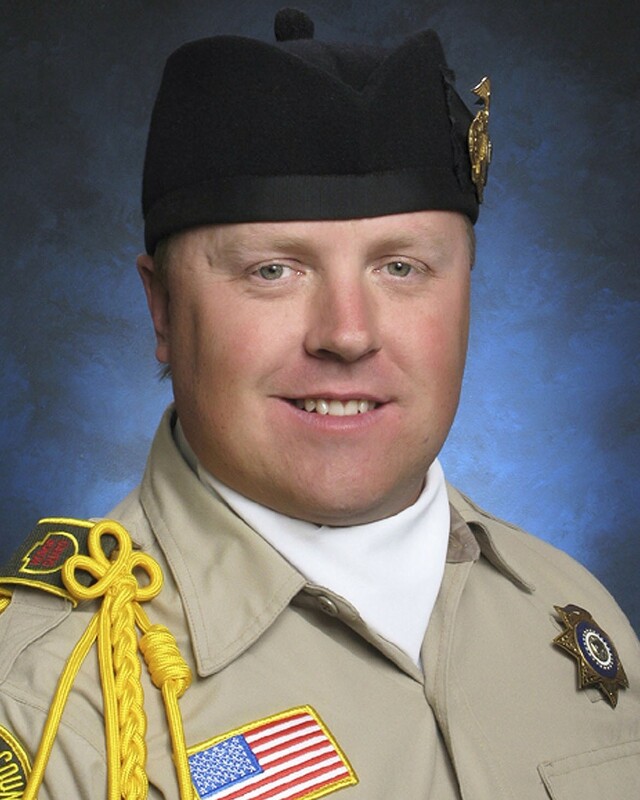 You helped stop Dorner, but you made the ultimate sacrifice. You are being remembered today. I thank you for your brave service and sacrifice. Dont stop forgetting. Be nice to see post going on for many many years here. He left behind a whole world at home among was a little baby. So many lives shattered by this one individual. My thoughts go out to all the loved ones involved for I know their pain. Continue to keep watch over all of your loved ones and know that you will never be forgotten. Det. MacKay I know we have never met and I wish we had. You were close friends with my brother and served within the same department. I feel like I have known you for a long time through the stories that my brother has shared about you. Sir, all I know is that you are a HERO to many and you saved a lot of lives on that horrible day. I hope that you and Ron countinue to look over all that wear the uniform everyday and protect them. You are missed and loved by all. You have made the ultimate sacrifice, now go walk a beat on Heavens streets. GOD SPEED SIR! God Bless you Det. MacKay. May the good Lord above cradle you in His arms, and may you Rest in Peace my Brother in Blue. I offer my prayers and sympathies to each and every one of your family members, friends, and co-workers. Rest easy Sir. Today at our nieces graduation from the Carroll County Sheriff's Department in Maryland they had bags on the stage with sand in them, a battery operated blue light, and the name, picture and info of an officer killed in our country this year. We are honored to have received a bag with Detective Jeremiah MacKay's name on it and tonight we will place it on our porch with the light on in his memory. May his family and friends find peace. Though I never knew him, he was part of my Law Enforcement family and I will mourn this deep loss the rest of my life. My heart aches with all the losses we have suffered, and continue to suffer, through the years. God is our only peace through such incidents & He will judge the guilty. May family & friends feel the presence of the "God of All Comfort" as they endure the distressing days ahead. I join them in their agonizing grief & remember them in my prayers.